Milwaukee CO2 Regulators are ideal for maintaining proper pH in a saltwater and freshwater aquarium. Having ideal CO2 levels in a freshwater tank will increase aquarium plant growth and provide an ideal living habitat/ecosystem for your fish. 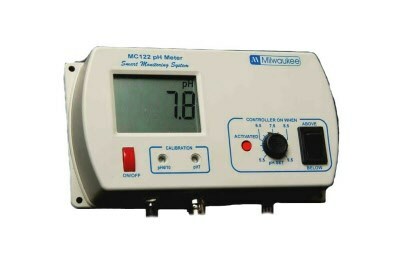 Using the MC122 CO2 controller you can maintain proper levels of carbon dioxide which will also help to maintain a proper pH and decrease fluctuating pH levels, which can have drastic effects on your animals' health.